Bring your boat to Special Marine, at Skuru Harbour, for storage. Together we will go through the condition of your boat and decide on actions to take, to optimize it before putting it up for sale. Our interior designer will style the boat and take the pictures. After this it will be put up for sale through different channels in Finland and Sweden (the bigger boats will also be put up for sale in Germany). 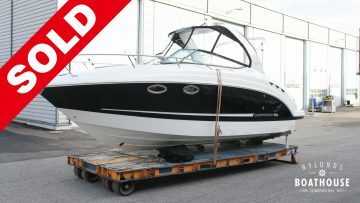 We can take both boats and cars in exchange when selling your boat (case by case), and this will definitely improve the possibility of selling your boat. We also offer financing with good conditions, with a payment plan up to 7 years!